Training is an important part of work life in many careers today, and we now rely mostly on technology to help us train others. Technology is changing how and where we work, and is beginning to dictate our space and furniture needs when it comes to our workplace. The space in which you conduct your training can play a big role in whether the trainee(s) retain information, stay engaged, and feel motivated to continue learning/training. 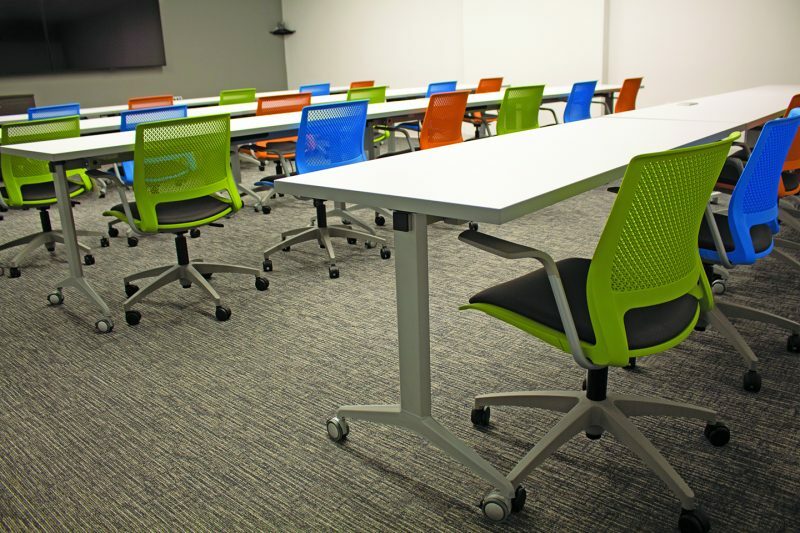 A conference room can be used for training, but depending on location and layout, that may still offer unwanted distractions throughout training sessions. 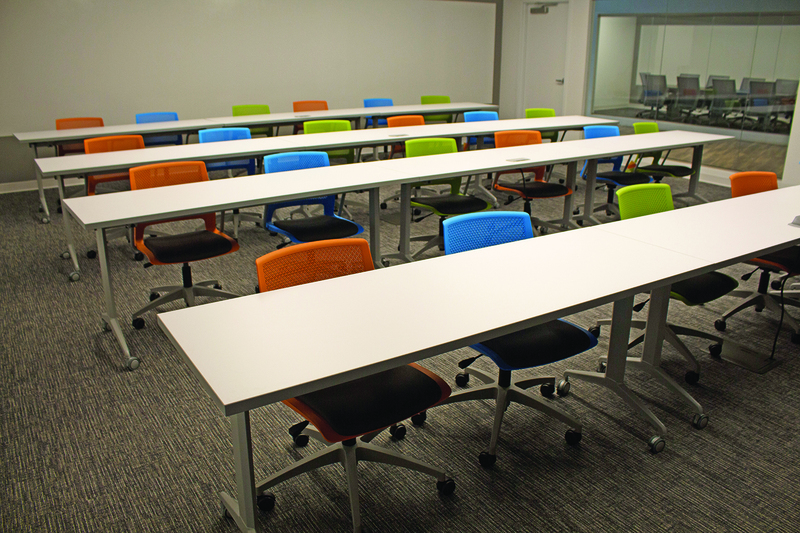 A training room should be a purposefully-designed space where the architecture offers no obstructions between participants and video displays. You should be able to control the lighting and the acoustics in the room to minimize speech intelligibility. You need enough space. The presenter will need their own space, as well as every participant in the training session. Cramped spaces or too much noise traveling from other areas can cause employees to miss out on pieces of the training. People like their personal space, and especially if they are expected to take notes, they will need a desk or work space. Depending on your company’s types of training, you may need “break-out areas” as well so that people can collaborate a discuss. You need the right equipment. Whether it’s a marker board or a digital display, you need the space to set it up and use it effectively. This will obviously be the main focus during training, so it needs to fit in the space in front of everyone’s desks/work spaces and everyone needs to be able to clearly see what the presenter is referring to or what is being shown on a digital display. 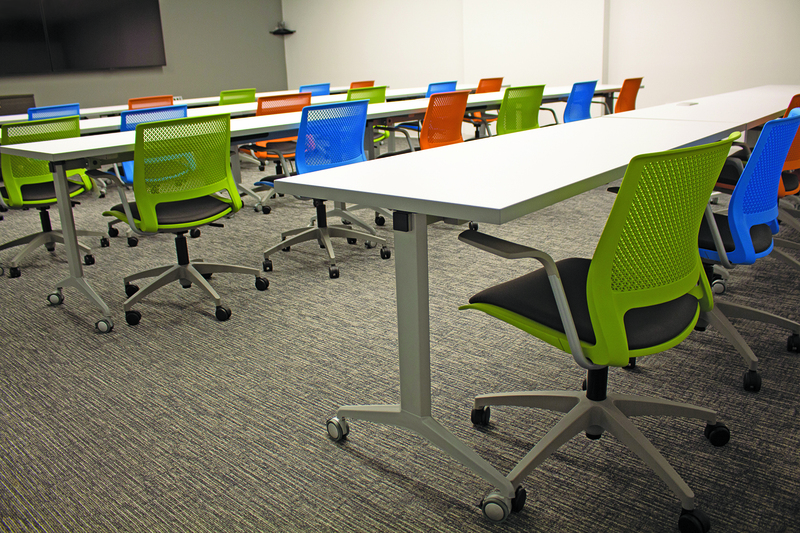 You need a space where employees/guests feel comfortable in a group atmosphere. The right space will be welcoming, comfortable, and will motivate employees to participate and collaborate.